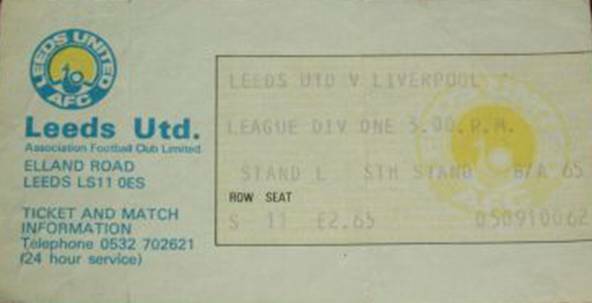 Date: Thursday 17th May 1979. Scorers: Leeds United: Nil. Liverpool: Johnson (2), Case. 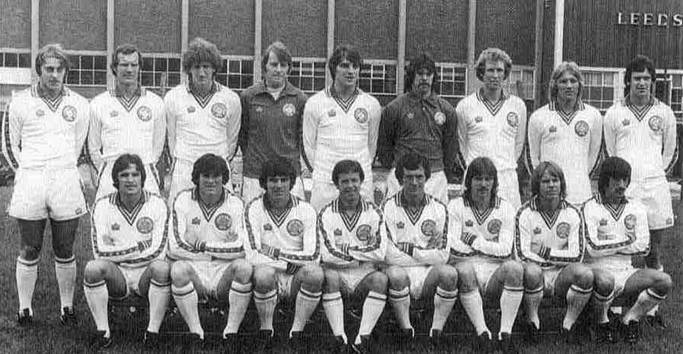 Leeds United: Harvey; Hird, F. Gray; Flynn, Hart, Madeley; Harris, Cherry, Hawley, E. Gray, Graham. 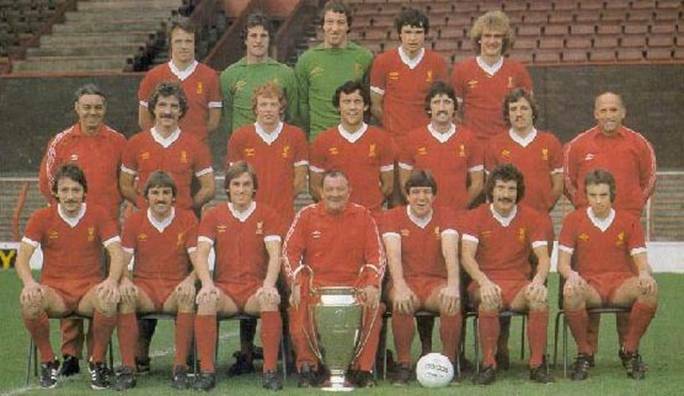 Liverpool: Clemence; Neal, A. Kennedy; Thompson, R. Kennedy, Hansen; Dalglish, Case, Johnson, McDermott, Souness. Referee: Mr J. Hunting (Leicester). Liverpool demonstrated just why they were the best team in the land, when they brushed aside Leeds United in a briskly entertaining and superbly professional manner to crown another successful season. 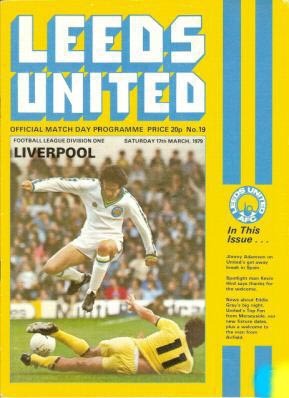 That was back in May 1979 as Bob Paisley’s masterful champions won the £50,000 League prize and two more records, including one from United, with a 3-0 success in the final match of the season at Elland Road. 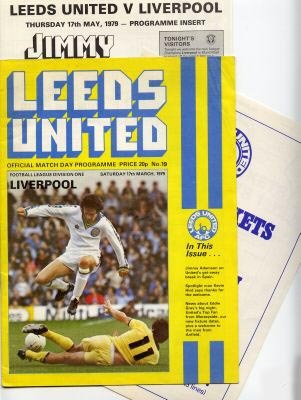 The victory clinched a new First Division defensive record, a cash prize for topping eighty-four League goals and, worst of all for the Elland Road men, bettered by one point the points haul record of sixty-seven, held by United for the previous ten years. There were few complaints from United afterwards. Hard as they tried there was nothing they could do to stop the powerful Mersey-siders. 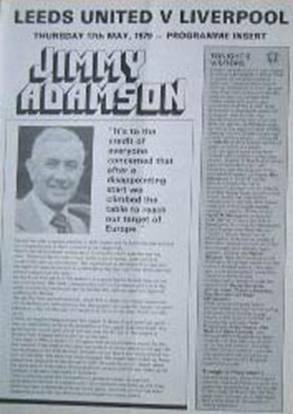 Jimmy Adamson’s side had qualified for Europe for the first time in four years but Liverpool had illustrated there was still a huge gap between the two teams and indeed between Liverpool and the rest of the First Division, with the possible exception, at that time, of Nottingham Forest. 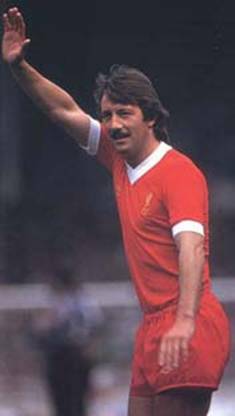 With Kenny Dalglish, the Football Writers’ choice as ‘Footballer of the Year’, in commanding form and David Johnson showing the speed and accuracy needed in a top striker, not to mention the tireless running of Terry McDermott, Ray Kennedy and Jimmy Case, Liverpool quickly established their supremacy. 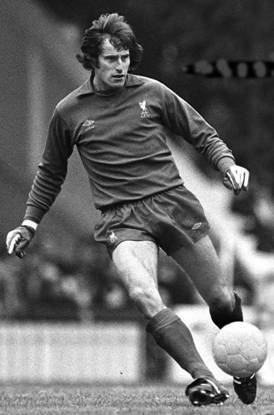 However, John Hawley headed wide and Ray Clemence had to dive to save from Kevin Hird before Liverpool took the lead in the twenty-first minute. 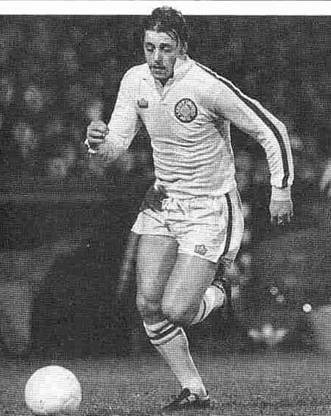 There was a suggestion that David Johnson fouled Paul Hart in the build up but referee John Hunting waved play on and after David Harvey had blocked a shot from Terry McDermott, Johnson had run on and was well positioned to fire home. While United felt hard done by with that decision they had nothing to complain about when Liverpool emphasized their authority again. 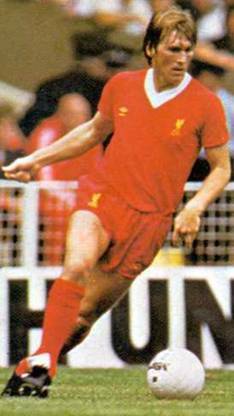 Jimmy Case drove in a fierce shot to round off a tremendous move involving Kenny Dalglish four minutes before the break. 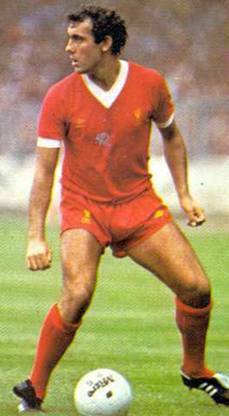 The talents of Dalglish were very much in evidence as Liverpool remained largely in control of the game, although Carl Harris fluffed United’s best chance of the game in the fifty-first minute. 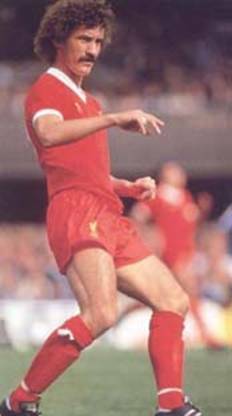 Put clean through by Eddie Gray’s pass, he miss-hit his intended lob over the advancing Clemence but Liverpool’s mastery was such that it was no great surprise when they added a third goal. 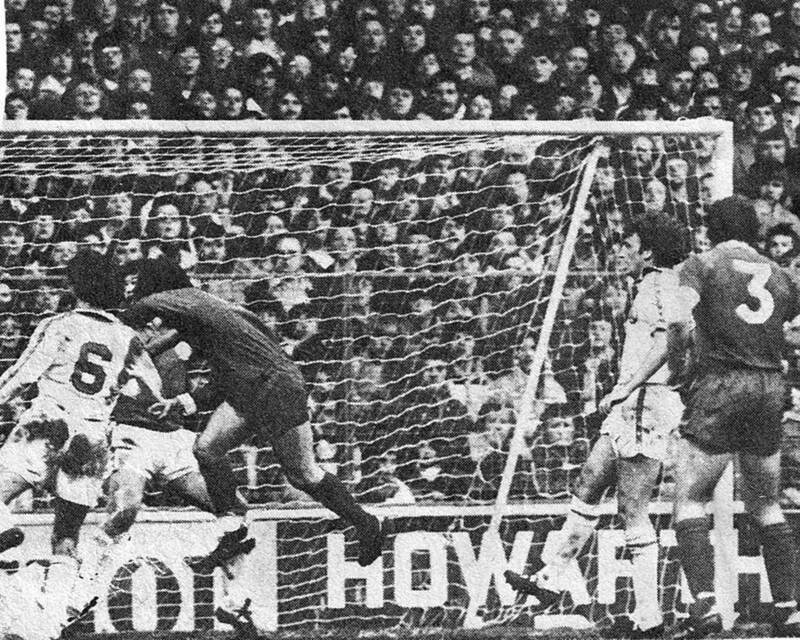 Harvey had saved well again from McDermott but then the ball was worked out to Dalglish and the talented Scot paved the way for Johnson to head in from close range. 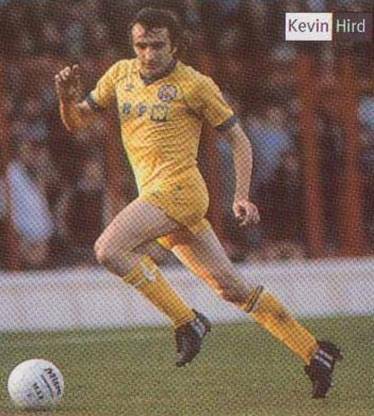 Clemence had to stretch to his best save of the night in the seventy-first minute to tip a shot from John Hawley over the bar but the best save of the game undoubtedly came from David Harvey when he launched himself to palm away a thunderbolt of a shot from Ray Kennedy round the post. United players had formed a guard of honour to welcome the champions onto the field before the game and it was a fitting tribute that at the end Elland Road’s biggest crowd of the season stood to applaud Liverpool off the field. Keith Parkinson, Tony Currie, Byron Stevenson. Back Row: Phil Neal, Ray Clemence, Steve Ogrizovic, Alan Hansen, Phil Thompson. 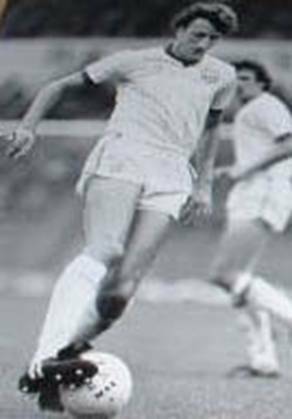 Alan Kennedy, Ron Moran (Assistant Coach).